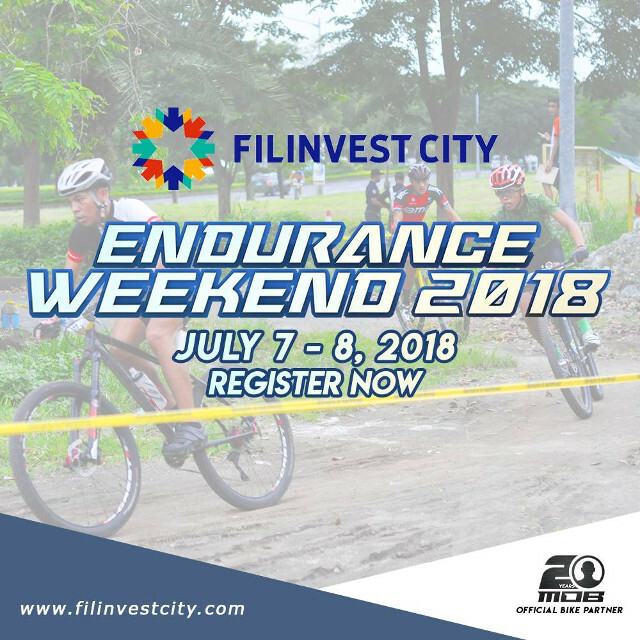 Filinvest City Endurance Weekend will once again challenge all elite and amateur MTB racers to test their endurance on July 7–8, 2018. 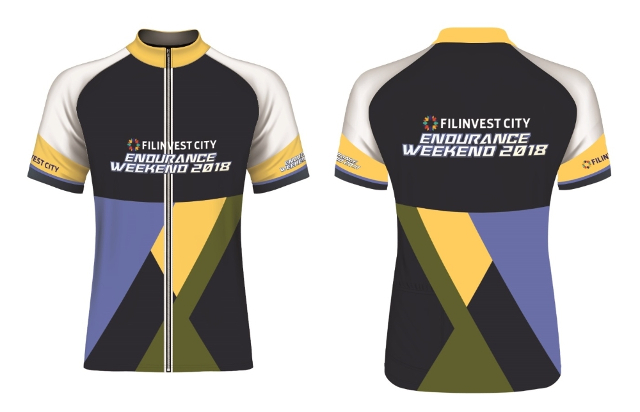 On its sixth year, Endurance Weekend is now one of the toughest endurance races in the metro. Experience a more exciting race course and attempt to beat your personal records on the trails! Register now, only limited slots are open! The course is a loop course of up to 5km consisting of single-track and asphalt roads. It will be marked by the use of a mixture of arrows, buntings, and traffic cones. There will be sections throughout the course where there are no markings. There will be no decision points either - just keep riding. At the end of each lap, the course passes through a Transition Zone. If your team mate is incapacitated, another team member may take the additional lap. You will be considered a finisher but will not be eligible to win any prize. You may finish the event at any time during the race. Riders and teams can take a break anytime throughout the event. The city of Laoag has been selected to host this year’s National Finals on December 9. Laoag promises to offer a unique running experience for participants as the National Finals will be part of the city’s bicentennial culminating celebration. In addition to the festive race experience, runners can also look forward to marveling at the beauty of Laoag, as the race route goes along several tourist spots of the city, including the Paway and Laoag sand dunes in some of the long distance categories. Those who would like to combine a vacation along with their race can visit nearby landmarks and places of interest in the Ilocos region, such as the Cape Bojeador Lighthouse, St. Augustine's Church in Paway, Kapurpurawan rock formation in Burgos, the windmill farms of Bangui, and the white beaches of Pagudpud. Vigan, a recognized UNESCO World Heritage Center, is also just 80 kilometers away. “We really enjoyed the race,” said Luisa Raterta, one of the members of the Full Marathon Female category winner team, Ganda R. “We were nervous at first of what is going to come when the race started, but we’re very happy with our experience because it was well organized and it had a good route,” she added. “It was our first time to run in a relay race, so our strategy was to arrange our turns based on our running strengths, and we think our tactic paid off really well” said Kevin Capampangan, member of Full Marathon Mixed category winner Team LTIMESTUDIO 1. “We’re very happy with the teamwork that we’ve built with one another,” said Joida Gagnao one of the members of Team LTIMESTUDIO 1. “It was a good thing for us to establish that kind of camaraderie as it helped us win the race,” she shared. JEJU IS., SOUTH KOREA - “Race safe, enjoy and make 7-Eleven and the Philippines proud.”, was 7-Eleven Run Series Project Head Michelle Saludes’ message to the runners on Sunday, race day morning of the 23rd Jeju International Tourism Marathon Festival held at Gujwa Life Sports Park in South Korea’s Jeju Island. Eleven Filipino runners made it to the race courtesy of 7-Eleven Philippines, as part of their prize for landing within the top three spots of this year’s 7-Eleven Run Series held last February. The runners, who carried the banner of Team 7-Eleven Philippines, lived up to expectations and grabbed podium finishes in the 21km and 42km categories. Fresh from her training camp in Italy, Olympic medalist and marathon queen Mary Joy Tabal showed her winning form and finished the 21km race in 1:18:44 to come up on top, besting the Japanese and Korean elite runners who placed second and third, respectively. “I wasn’t able to break my personal record but I am satisfied and happy with my overall performance. This race serves as an evaluation of my training and a good warm-up for me for the Asian Games next month.”, said Tabal who flew back to Italy the day after the race to continue with her training which is due to finish by August. Ruffa Sorongon and Christabel Martes, who directly came from their successful 10km race in last week’s Philippine National Games, took the fourth and fifth podium spots of the 21km category to complete the Female top five. Richard Salaño, Bulacan’s “Kenyan Slayer” settled for a top two finish in the 21km male category, clocking the race at 1:11:19.80. Cebu’s Prince Joey Lee and Cagayan de Oro’s Jerald Zabala settled for the fifth and sixth place, respectively. It was Lee’s and Zabala’s first race outside the Phiippines. Meanwhile, the Filipino runners also reigned in the 42km category of the race. Bryan Quiamco, who earned his slot by winning the third spot of the 42km race of the 7-Eleven Race Series last February, took runner-up honors as he finished with a time of 2:37:03.70. Richeel Languido grabbed third while Rafael Pescos placed fourth. On the distaff side, the Filipinas ruled as veteran Davaoeña runner Judelyn Miranda covered the challenging course in 3:16:03.91 to bag the crown and beat team mate Maricar Camacho who finished at 3:26:55.02 and settled for second place. 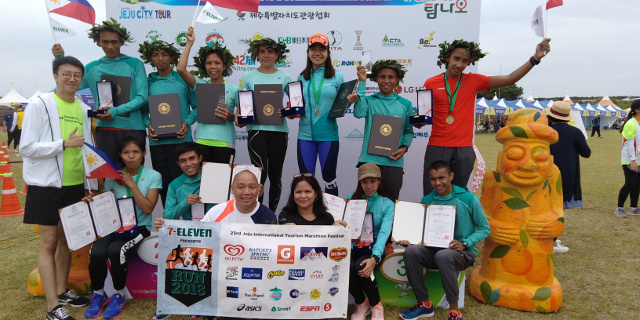 “We are very satisfied with Team 7-Eleven Philippines’ performance here at the 23rd Jeju International Tourism Marathon Festival. 7-Eleven Philippines will continue with its program to nurture and support our Filipino runners who aspire to get the chance to represent the country in an international race. With that we encourage them to prepare well and we’ll see them on February 3, 2019 for the 2019 7-Eleven Run Series.”, shared 7-Eleven General Merchandise Division Head Mr. Jose C. Ang Jr., when asked about the team’s performance. 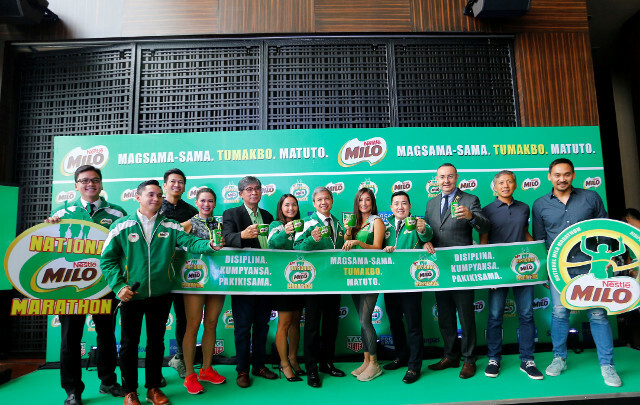 Ever since 2013, 7-Eleven Philippines have given a set of Filipino elite runners a chance to compete in the international stage by bringing them to a foreign running race, all expenses paid for plus pocket money and all needs taken cared of. 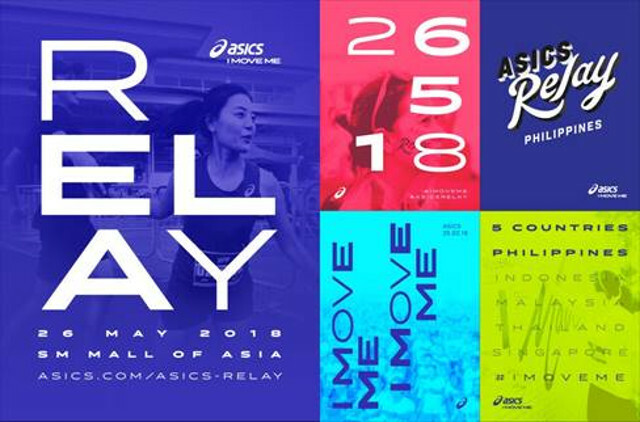 Apart from this, runners who successfully finish on any of the top three overall spots in their respective category will not only get to bring home the race prizes but also receive a bonus cash prize from 7-Eleven Philippines. Malolot, on the other hand, ruled the 1.5km swim-40km bike-10km run in 2:27:31, foiling Albar, who clocked 2:31:09 while Ryan Laurino placed third overall in 2:38:43 followed by Edgar Cabalero (2:46:37) and Ricky Busran (2:51:59) in the event. Actor Gerald Anderson won in the 25-29 age-group (1:16:15) sprint division with Team Da Rossa and Ms. Earth Air 2016 Michelle Gomez. Biag likewise topped the 35-44 age-group with Breceno claiming the crown in the 25-34 category and Regina Rosquites topping the female side in the 25-34 section of the event which served as the third leg of this year’s Asian Series and hosted by CamSur where athletes also provided school supplies and slippers to over 200 indigent kids under the Race to Give program of Sanctband of One of A Kind Marketing, the marketing arm of Tri-factor in the Philippines. 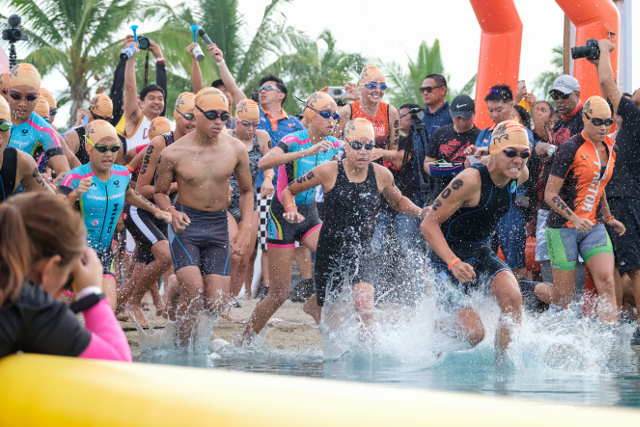 “I’m looking forward to another cheerful event next year – the people, the place and CamSur are just amazing,” said Elvin Ting, co-founder of Tri-factor and manager director of organizing Orange Room Pte Ltd.
Malolot, meanwhile, also took the crown in the 16-24 age category with Laurino ruling the 25-34 division and Busran topping the 35-44 side of the event where the top winners gained berths in the TRI-Factor Series in Thailand plus overnight stay in Caramoan islands. In the sprint distance (740m swim-20km bike-5km run), John Caleb Barlin took the overall crown with a 1:08.29, beating Louie Ibo and Roman Bonagua, who timed 1:12.52 and 1:14.46, respectively. They also took the top three places in the 16-24 age category. Junior Oba topped the 30-44 division in 1:29.43 while Aldo Turiano took the 45-and-above crown in 1:33.40 while Faith Robertson (16-29) and Keigh Pascual (30-44) reigned in female side in 1:27.28 and 1:32.30, respectively. TRI-Factor Asian Championship series celebrates their 10th year doing four-leg mass participatin series in a number of countries across Asia such as Malaysia, China, Indonesia and Thailand.